A recently renovated space within Campbell Student Union has been designated for students, faculty and staff to allow for meditation and prayer. This open space will provide a quiet location on campus for those to explore, reflect or practice their spirtuality. 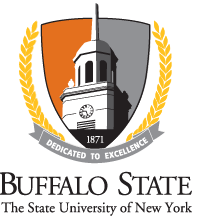 If you have any questions or would like to donate any resources to the Prayer & Meditation space please email the Dean of Students office at deanofstudents@buffalostate.edu.